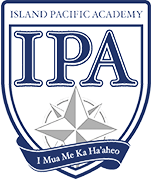 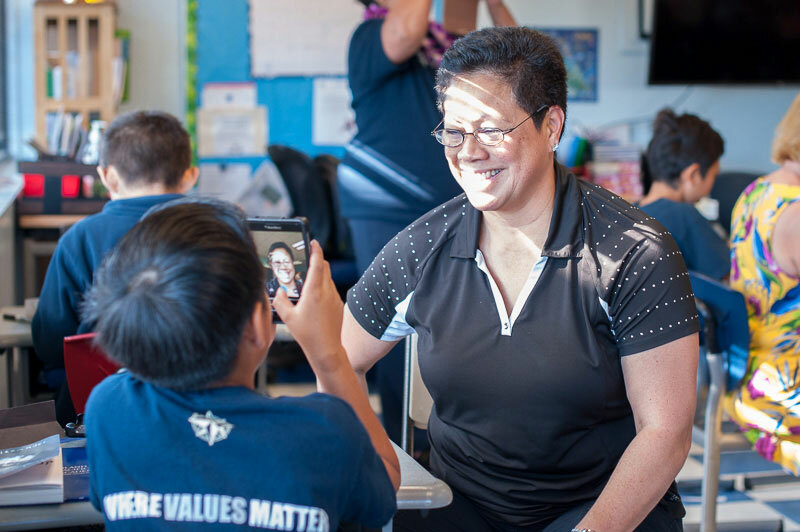 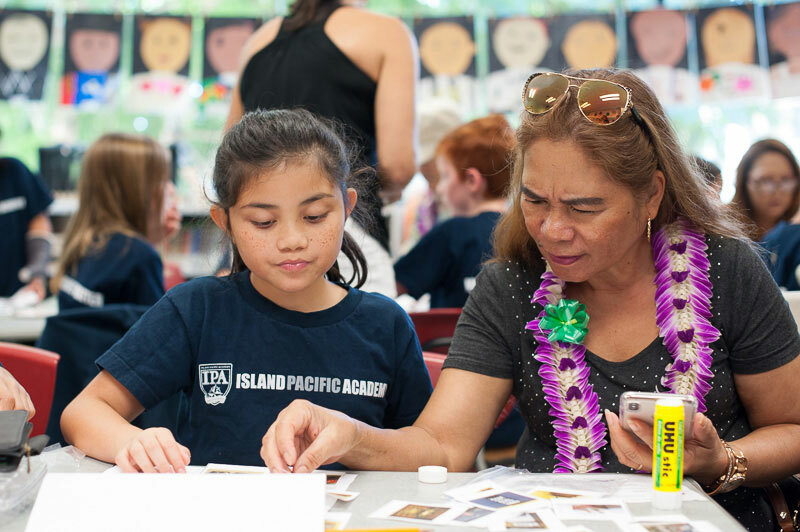 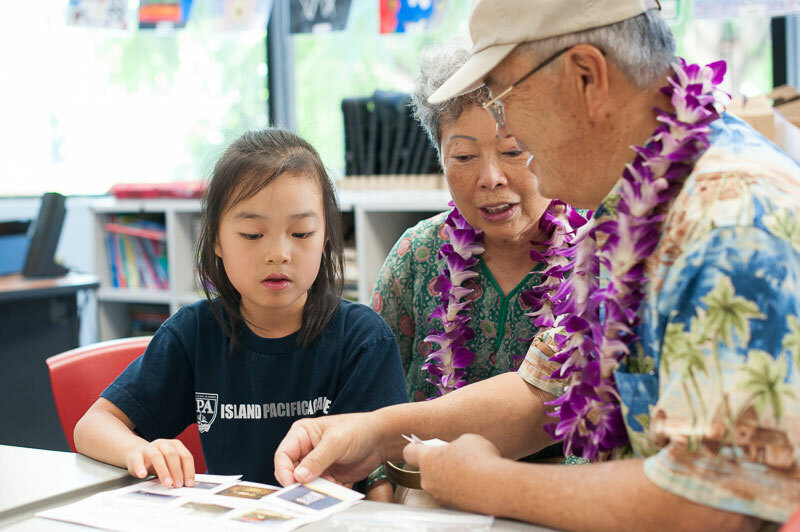 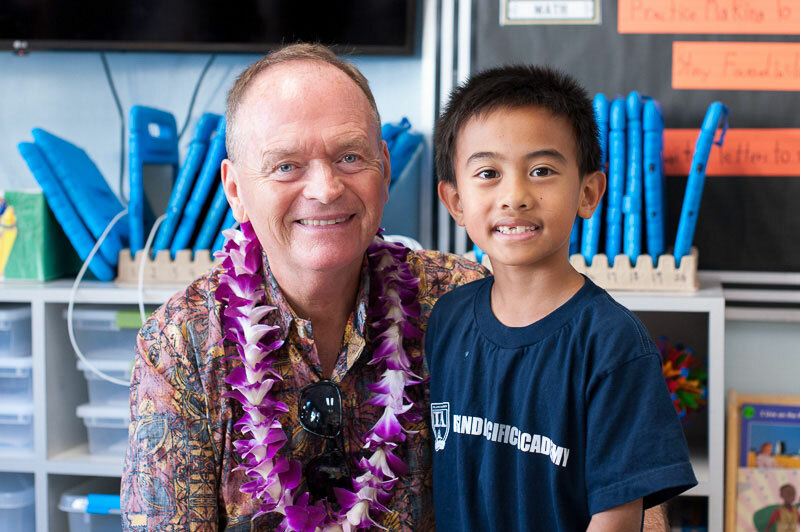 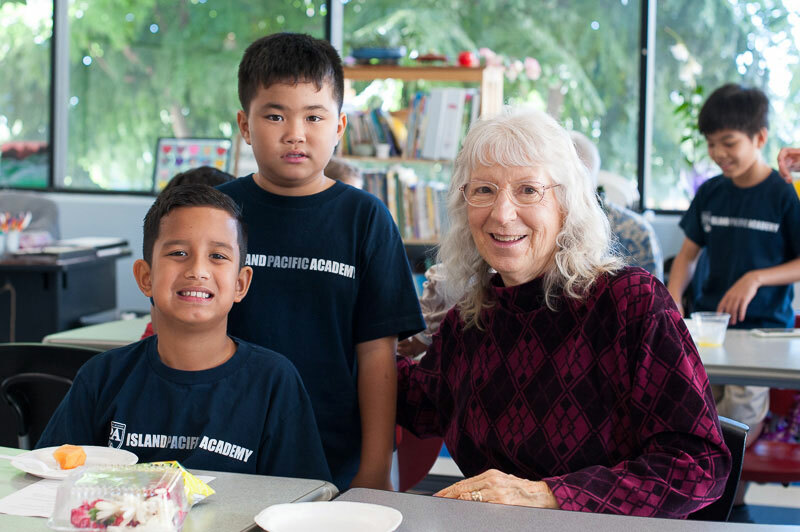 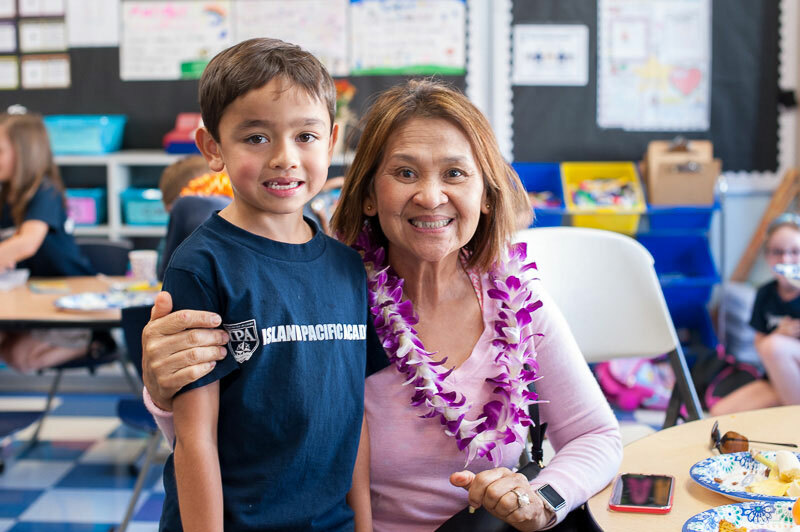 Every year, on the Wednesday before Thanksgiving, ISLAND PACIFIC ACADEMY’s Grades K-5 elementary students host Na Kupuna Day to welcome their grandparents, many of whom visit from the mainland or outer islands during the holiday. 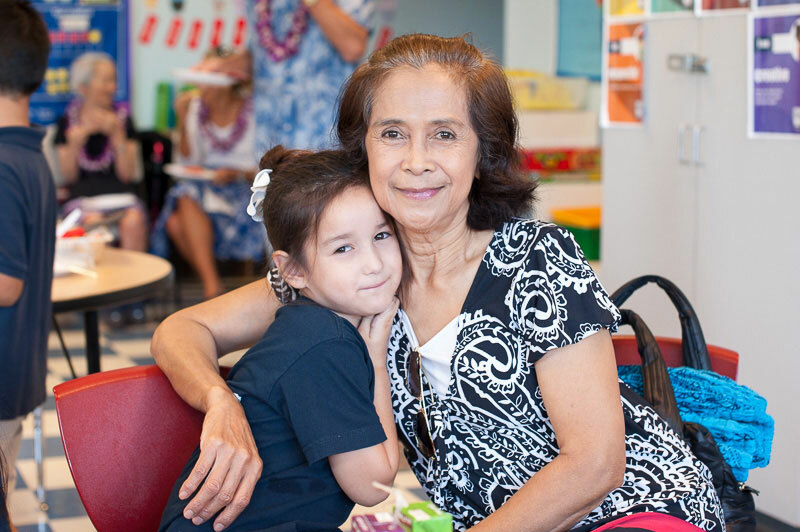 The ʻōlelo Hawai’i word kupuna refers to an elder, grandparent, or older person. 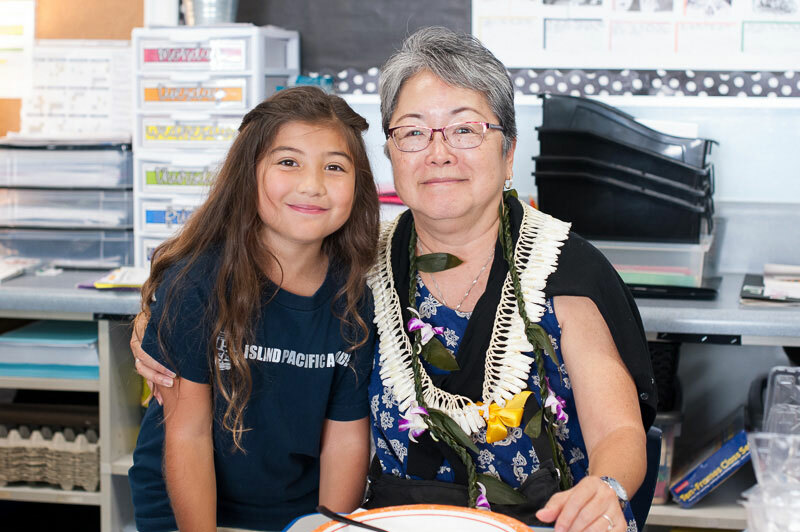 Several weeks before the day, special invitations are sent out to all kupuna to attend the event. 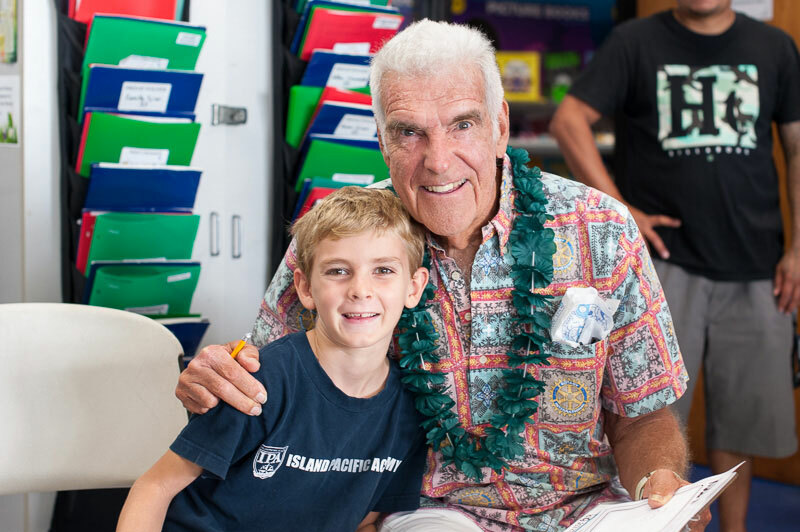 Those who are unable to make it are invited to send a written note to their grandchild to be shared with them on the day. 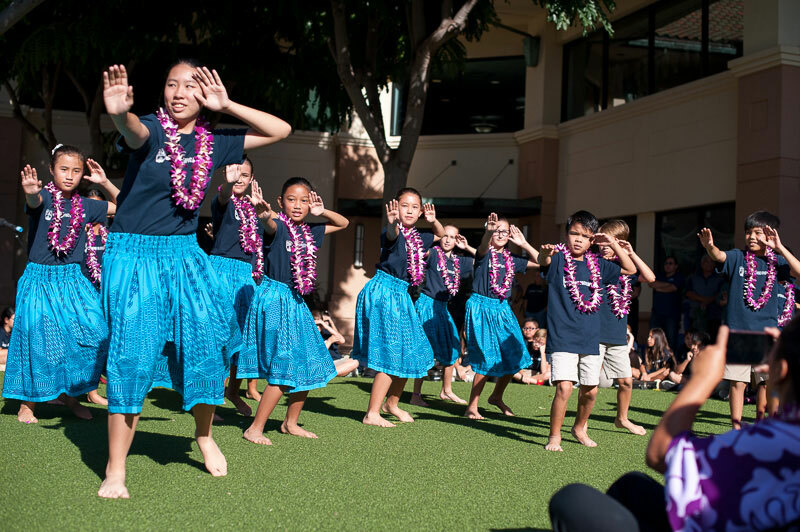 The morning festivities take place on the lawn fronting the Elementary building, and include special performances of song and dance by the Elementary ukulele club, IPA’s Na Pua o Kekoʻolani hula hālau, and all the elementary students. 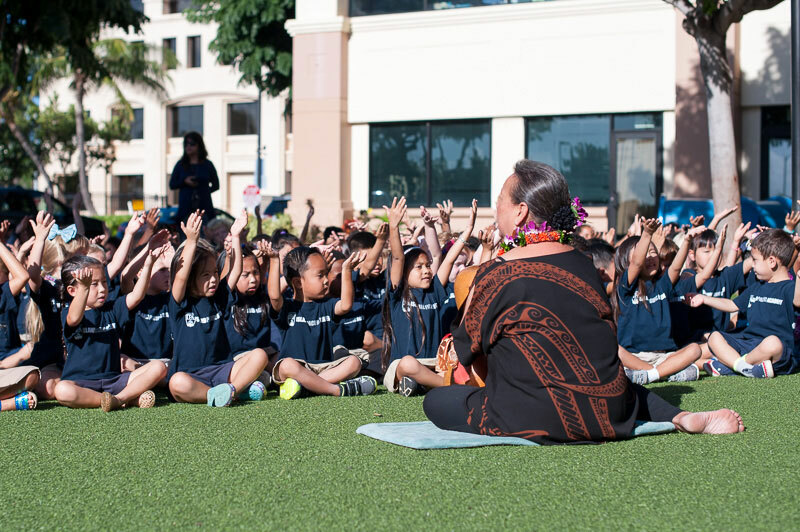 The students practice their performances with music teacher Ruth Babas and Kindergarten teacher Momi Kuahiwinui in the weeks leading up to Na Kupuna Day. 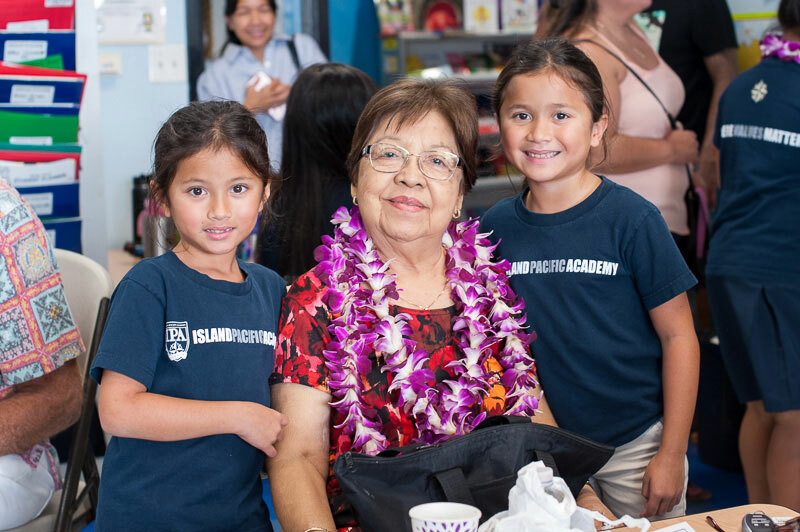 Following the short program, kupuna are welcomed into their grandchild’s classroom for special activities and light refreshments. 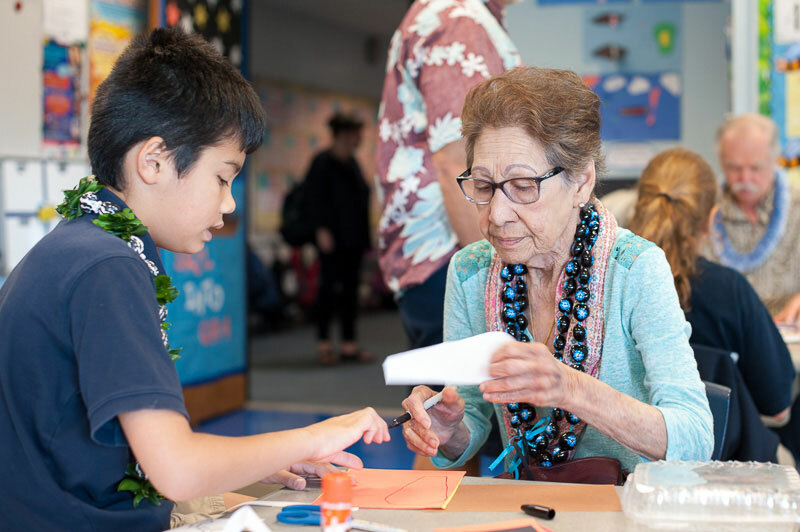 This time is a wonderful opportunity to both honor the kupuna, and to give them a place to share their wisdom and stories with the students.